First Nation police officers from across Canada gathered in Gatineau, Quebec to honour their own at a national conference. This was a special year for a Manitoulin Island constable. 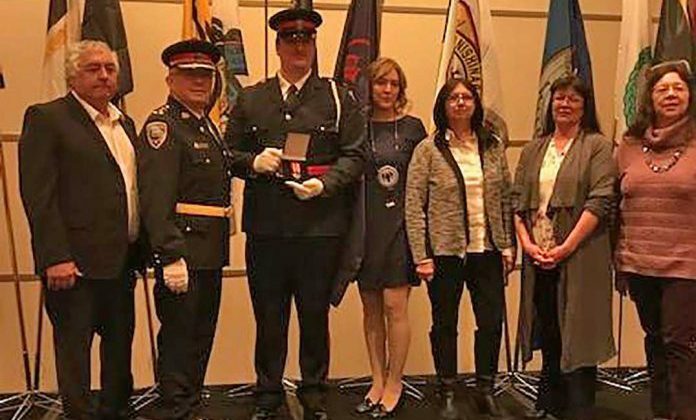 United Chiefs and Councils of Manitoulin Anishnaabe Service Constable, Josh Shokan, was presented with a Distinguished Services Award for Investigative Contributions at the annual First Nations Chiefs of Police Association conference held on April 4th. His Chief of Police, Rodney Nahwegahbow, nominated and presented Constable Shokan with the award. He says, Josh is a good, young officer, and he is due recognition for his contributions to the police service. 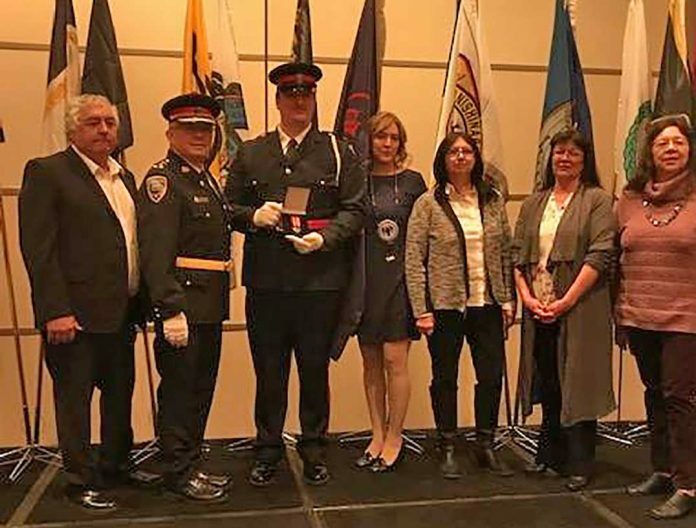 Thirty-eight First Nation officers were recognized by the association with awards which recognize exemplary years of service, lifesaving, bravery and distinguished services-investigative skills.